Configurable portal page for the agents and business stakeholders for easy access to popular stats, teamchat and other tools. A large repository of chart and table-based reports based on customer feedback and best practices over the years. Easy to create reports containing tables and charts with a better visibility of the peaks and shortages. Business stakeholders need to access the relevant data quicker to make the right decisions. Forecasting features also help achieve higher agent occupation while reaching the target service levels. Flexible reporting tools and Comstice Stock Reports helps team leaders to create the reporting content including the visual reports. Quartz Web Portal helps any user including the agents to access the relevant content easily. Making data accessible for the business stakeholders in a visual format helps information to be shared easily and evaluated quickly. Quartz aims to eliminate the data processing efforts and presents the data in various forms using its stock reports. 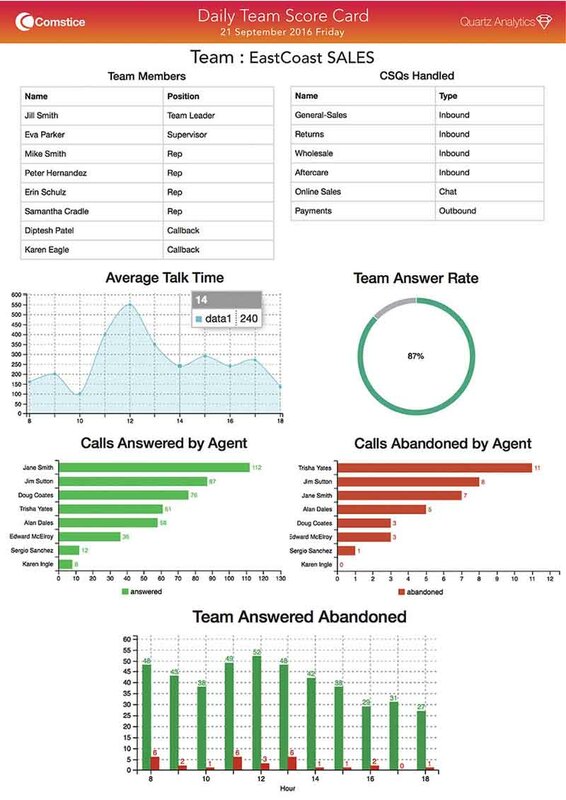 Past data such as year on year and seasonal trends help teams to forecast the call volumes and average handle times. Visual trend analysis can combine year on year change factor and adapt this into the seasonal trends to estimate the resources with better accuracy. Quartz forecasting toolkit helps to maximise agent occupancy while helping to achieve the service level targets. 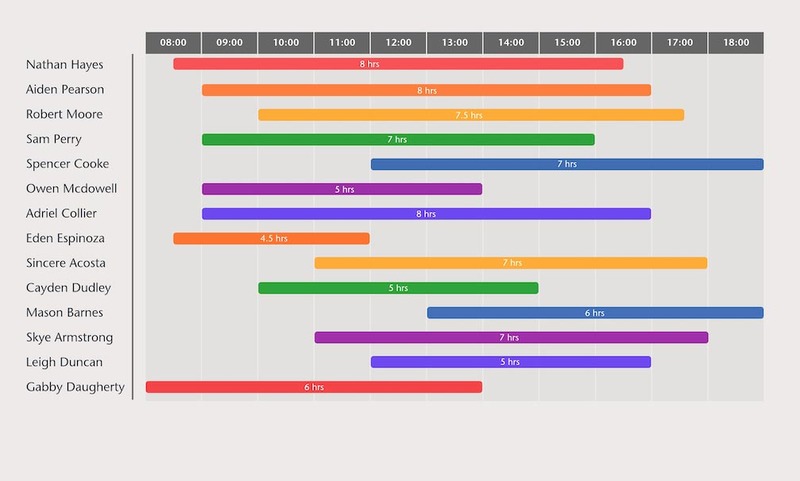 Service level heatmaps in the stock reports show any hour in a particular day of the week which has resource shortages or lower agent occupancy rate. Balancing those two key indicators will be much easier using Quartz resource management features. 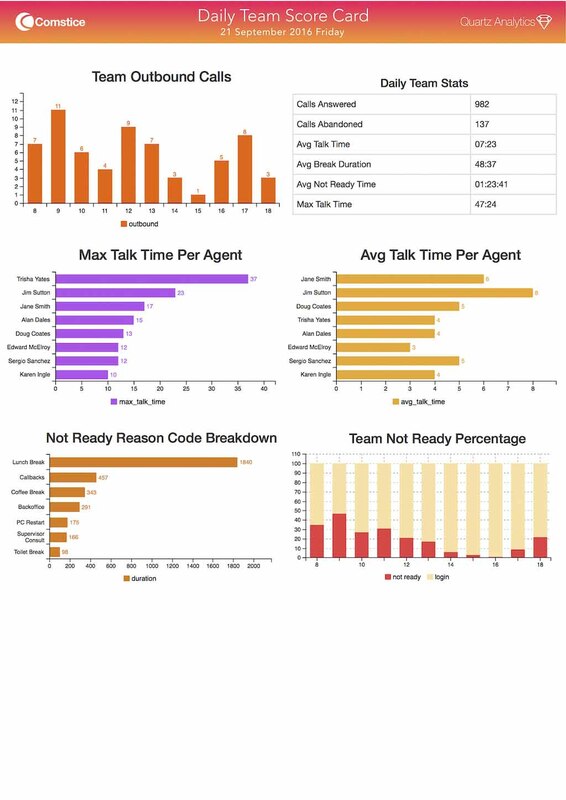 Access to personal historical reports, shift scheduler, agent web portal along with the team averages and rankings. Access to agent and team historical data, resource requirements, shift schedules and other utilities through the mobile app. Managing the resources for the skills at every shift with the visual resource planning and management tool. Visualising historical data using the pre-populated widgets to see the long-term trend, peaks and shortages visually.